These are vintage glass drops. 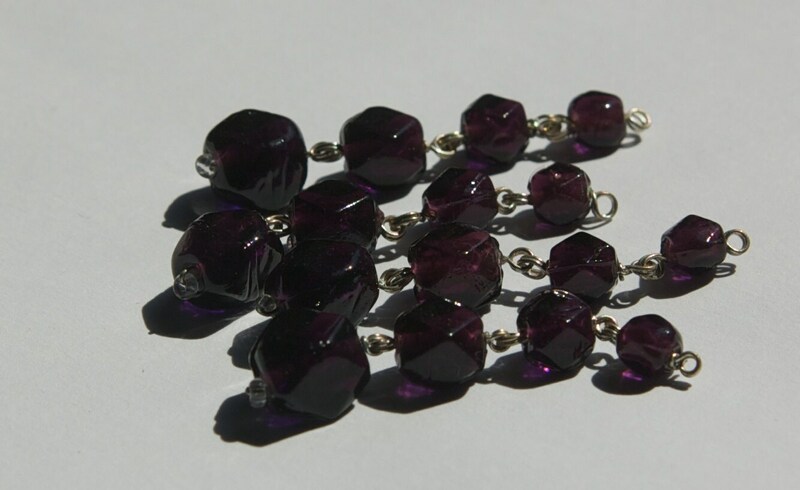 The glass beads have a chunky faceted shape. The metal is silver tone. 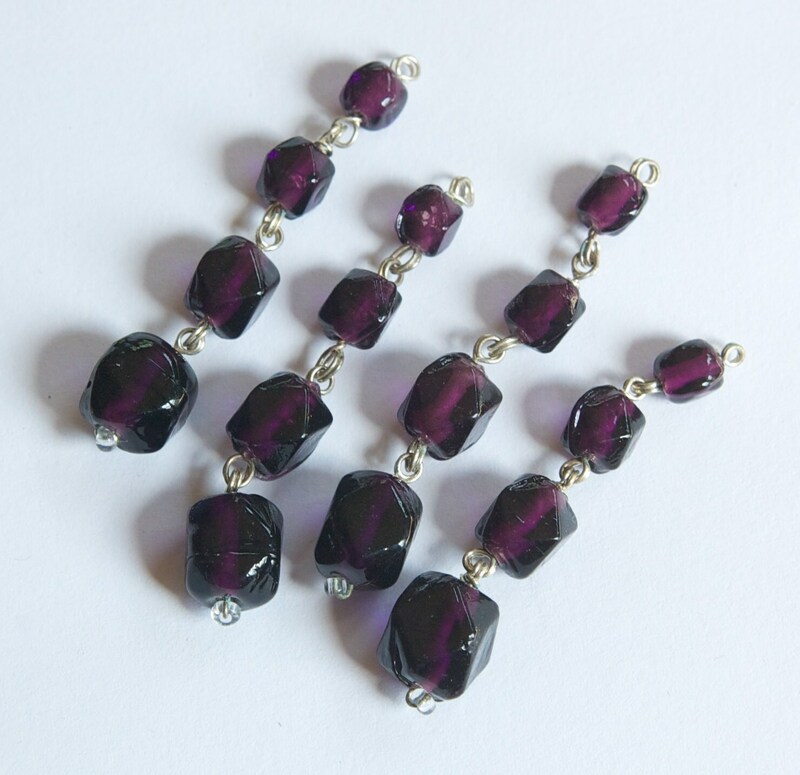 The smallest bead measures 6mm and the largest measures about 8x9mm. The entire piece measures 50mm long. The top have a loop and the bottom is finished with a clear seed bead. You will receive 4 pieces. These are amazing and look like real stones! Nice, but hard to work with. All arrived in Melbourne safely. Thanks both Beth and Greg.